Would you like to have a deeper connection to your body? Build greater self-awareness? Develop your intuition? Heal limiting self-beliefs, injury, and past trauma? Phoenix Rising Yoga Therapy sessions help you connect to all parts of yourself - body, mind, heart, and spirit - so you can learn to listen to your own inner wisdom to empower you to craft the life you want. Start your journey of self-discovery so you can live a more fully authentic, expressive, and heart-centered life. To schedule a session, book through MindBodyOnline, or contact Renee directly at Renee.Dumouchel@gmail.com or call 917.992.6974. To read more about Phoenix Rising Yoga Therapy, please click here. If you work with Casey, come to her class, allow her to train you, you can expect Power. In all its forms. Physical, mental, emotional strengthening and expansion by creating a stronger bond with your body. 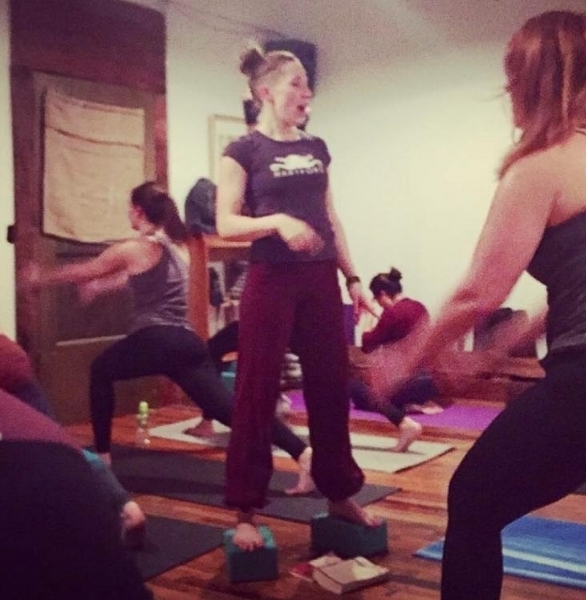 Whether you're a 'beginner' or looking to deepen your practice, Casey can support you as you build upon your own innate power.